Ben joined the firm as a Paralegal in the Business Support Team in October 2016, dealing with Corporate Commercial, Commercial Property, Litigation and Debt Recovery. Ben graduated university with a 2:1 degree in Law before starting the Legal Practice Course in September 2017. 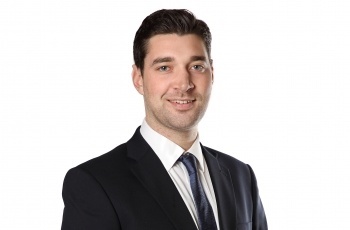 Ben has since worked in the Employment team and assisted with all aspects of Employment Law, supporting individuals and businesses in contentious and non-contentious matters. Ben achieved a Distinction in the LPC and started his training contract with the firm in August 2018. His first seat is with the Employment team. Outside of work, Ben enjoys watching football and playing regular 5-a-side. He also enjoys snowboarding, travelling, and taking weekends away. I would like to take this opportunity in thanking yourself and Nicola for a very professional service and a very quick turn around. "I feel compelled to relay my sincere thanks for your recent services. Nicola Strefford, Head of Employment Law and her management support team of Rosa Barker and Ben Lewins professionally handled my affairs to a successful conclusion."